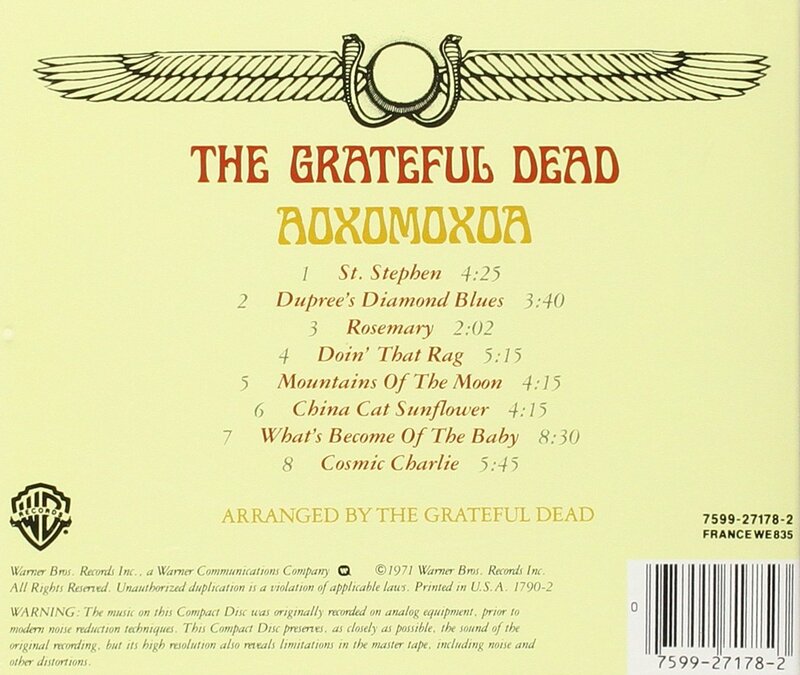 This was the third live double or triple album in the Dead’s past five releases, revealing how the group’s reputation rested on their live performances. Indeed, the liner notes simply stated: “There is nothing like a Grateful Dead concert.” The album contained considerable new material in addition to versions of tracks found on previous studio albums. Despite the band being out of the country, Europe ’72 showcased the Dead’s mixture of American bluegrass, folk, and country influences, and provided the culmination to the band’s early 1970s sound. Archetypal American images abounded on “Jack Straw”, while “Cumberland Blues” and “Tennessee Jed” were firmly rooted in their regional feeling. “Truckin’”, which had recently become the band’s first hit song, catalogued its own troubled-but-resilient pathway through American life. 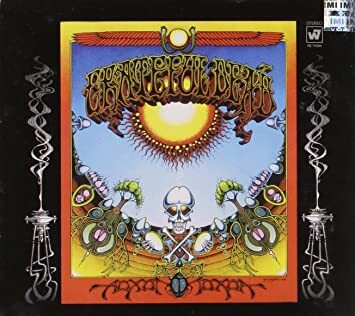 The Dead’s start-stop-restart segue of “China Cat Sunflower” into “I Know You Rider” also linked their psychedelic past into a more traditional context. 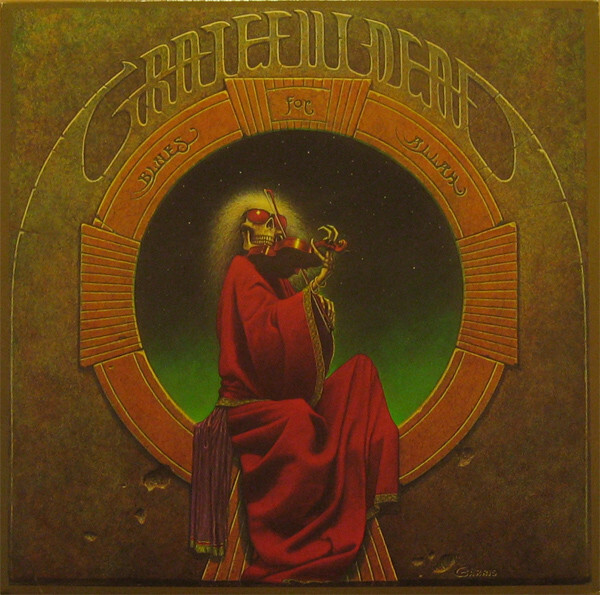 Reviews specially praised the track “(Walk Me Out in the) Morning Dew”, a ten-minute rendition of the melancholy folk standard that features guitar crescendoes from Jerry Garcia. The tour represented by this album was Ron “Pigpen” McKernan’s last with the Dead before he died in 1973, and the last album he would feature on as an active member. It was the first album to feature Keith Godchaux and his wife Donna Jean Godchaux. Originally a triple album on vinyl, Europe ’72 was later reissued as a two-disc CD in 1995 and again in 2001 with bonus tracks as part of the band’s box set, The Golden Road (1965–1973). Europe ’72 has been the Dead’s best-selling live album, and one of their best-selling albums overall, achieving double platinum status in the U.S. 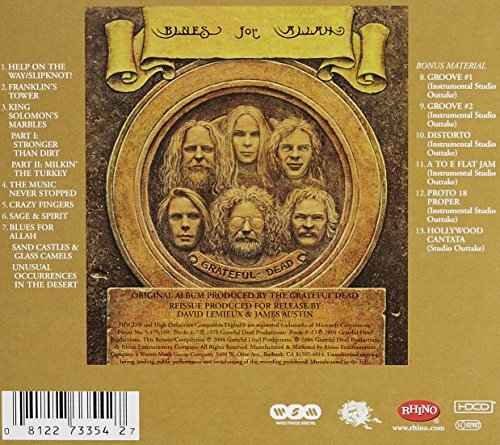 Although Europe ’72 is billed as a live album, the songs featured on the release were subject to significant overdubs after the fact, specifically with respect to the lush harmony vocals. Unadulterated multitrack recordings of the performances used for the album are no longer available (because they were simply snipped from the multitrack concert tapes whereupon the band overdubbed directly onto them, destroying the originals) but, for example, the available two-track soundboard recording of the May 10, 1972 show indicates the band had not yet figured out the vocal arrangements for “He’s Gone” that would later be overdubbed in the United States. You are currently browsing the archives for the Grateful Dead category.